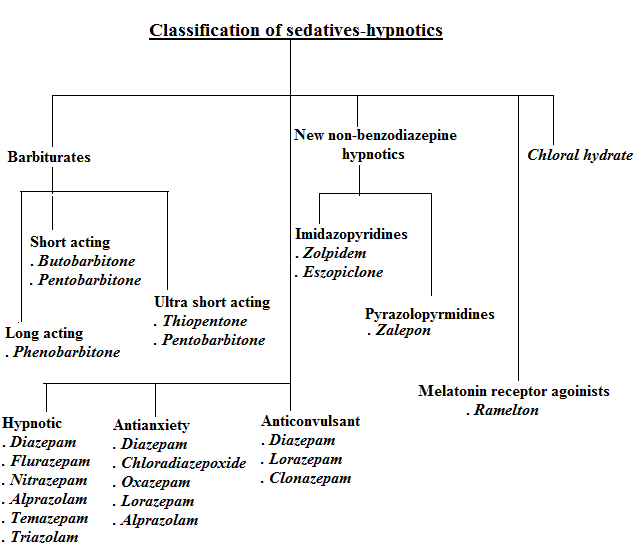 Sedatives & hypnotics are terms which have similarity but pharmacological meaning is different of the both. In this article, this topic is discussed in detail for the GPAT aspirants. Sedative: This is the class of drug which decrease the excitement and calms down the patient. There will be a decreased response to any stimulation. Hypnotics: Hypnotics are used for inducing sleep in the patient. There will be all waves in EEG. Marked, irregular & darting eye movement. Dreams & nightmares occur which can be recalled. Heart rate & BP fluctuates. One sleep cycle is of 80-100 minutes then it repeats. K complex: Deep negative wave followed by positive wave. 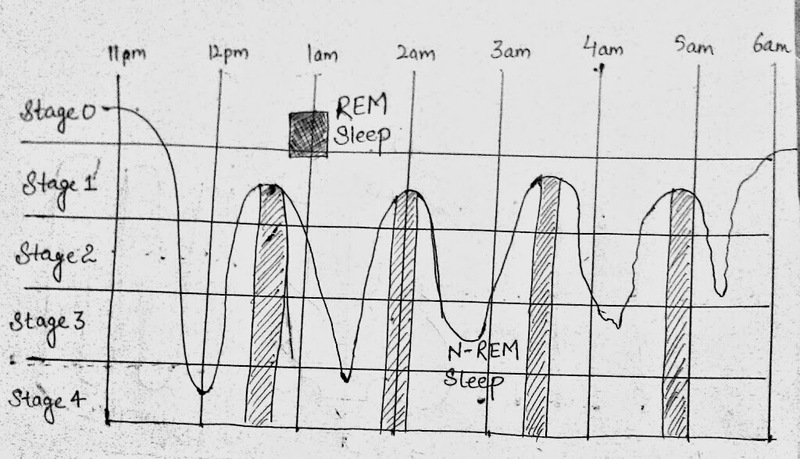 On the whole sleep cycle can be summarised as Stage 0------> NREM -------> REM------> NREM--------> REM ( NREM - 90 minutes & REM 20 minutes). 1. 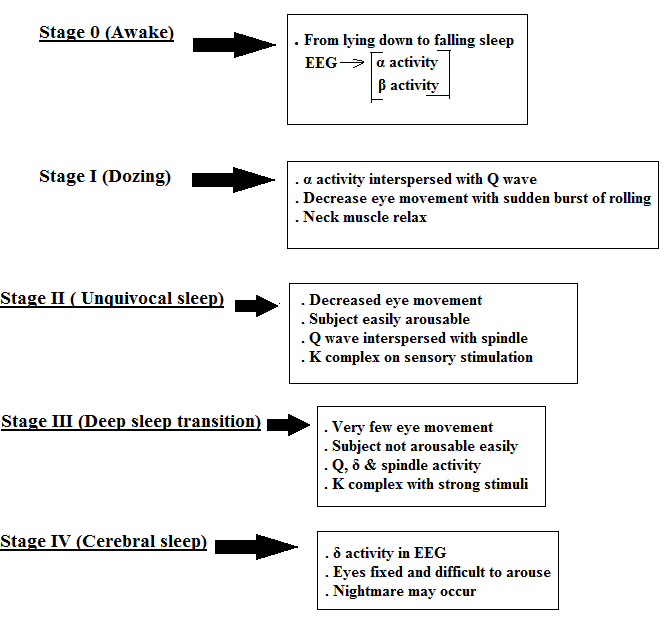 Neurotransmitter/ Neuromodulators: If a neurotransmitter is involved in wakefulness then it produce REM sleep. Similarly, its antagonist produce NREM sleep. a) Catecholamines: Catecholamine transmission system is needed for the REM sleep. α1 agonist (Methoxamine) : Decrease REM sleep. b) Serotonin: Earlier it was believed that serotonin promotes sleep but now from studies, it has been evolved sleep occurs when this system becomes inactive. 5HT2 antagonists (Ritanserin): Increase NREM sleeep. c) Histamine: H1 antagonists (Diphenyl hydramine) & H3 antagonists; Induce sleep. H2 receptors has little effect on the sleep. d) Adenosine: A1 receptors causes hypnosis. Methoxamine act by A1 blocking & hence causes alertness. e) GABA: Inhibitory neurotransmitter and hence agonists of GABAa receptor induces sleep. a) Growth hormone & Prolactin: Growth hormone secreted during NREM sleep whereas prolactin secreted at the onset of sleep. b) Melatonin: Hormone of darkness (MT1- sleep, MT2- Circadian rhythm, M3- Unknown). c) CNS peptides: Hypocretins (Hcrt-1 & Hcrt-2) induces sleep. They were popular earlier but not used now due to toxicity. Dose dependent action: Sedation ----> Sleep -----> Anesthesia -----> Coma. Mechanism of action: Act at benzodiazepine + GABA receptor + Chlorine complex & increase GABAergic inhibition by increasing the lifetime of chlorine. Further increasing dose, they directly increase chlorine conductance. This is the main difference between benzodiazepine & barbiturates where benzodiazepines act as GABA facilitating only but barbiturates can act as GABA mimetic also. Drug inducers: Lowers the plasma concentration of warfarin, steroids (including contraceptives), tolbutamide, griseofulvin, theophylline & Chloramphenicol. Additive action: Alcohol, Opoids, Antihistamines. Na valproate increase concentration of phenobarbitone. Decrease absorption of griseofulvin from the GIT. 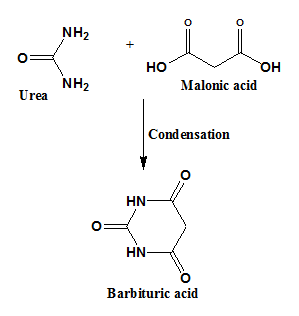 5,5 disubstituted barbituric acid, 5,5 disubstituted thiobarbituric acid & 1,5,5 trisubstituted barbituric acids are active. Active drugs are slightly basic in nature. More the lipophilicity lesser will be duration of action. 5,5 disubstitution: Aromatic substitution decrease lipophilicity. Branching, alkyl substitution, halogen to alkyl group increase lipophilicity. Substitution on Nitrogen: Substitution at N1 increase lipophilicity. Large substitution at N1 gives convulsant property. 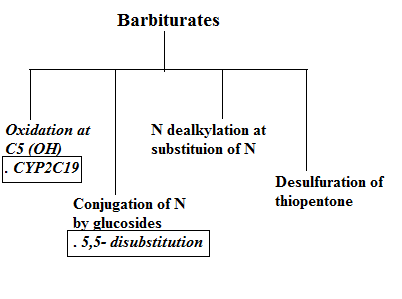 N1 & N3 substitution in same drug results in inactivity. Modification at C2: Replacement by Sulphur of Oxygen at C2 decrease lipophilicity. They act as GABA facilitating agents with no GABA mimetic action. 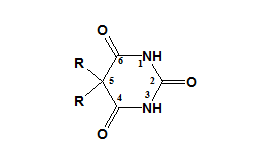 Mainly metabolized by dealkylation & Hydroxylation. Benzodiazepine inverse agonist- β-Carboline (DMCM- Dimethyl-carbomethoxy-β-Carboline. 3. Non benzodiazepine hypnotics: Zoplicone, Zolpidem, Zolepon. Zolepon is the shortest acting among these.